All current models welcome. Accord, Aria, Aventura 2, Crescendo, Destiny 2, Journey, Lyric, Presto 2, Solaris, Soprano, Unity, and Verve. This class will cover all the basics you will need to start any new project. Learn how to maintain your machine and match thread and needles to your project. Master threading your needle and bobbin and basic sewing skills using multiple feet. This class is a prerequisite to all other new owner classes. 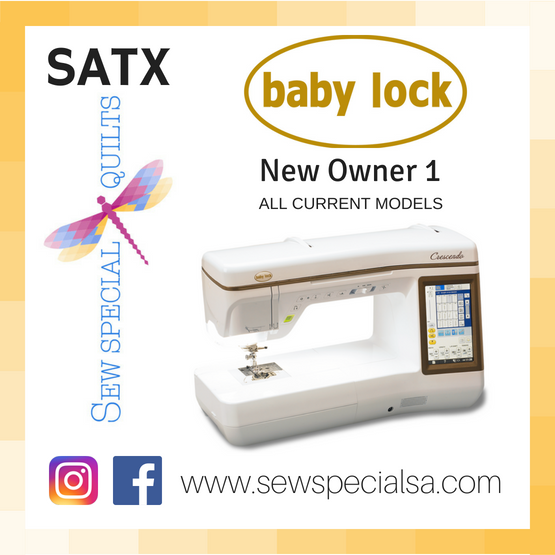 FREE if your machine was purchased at Sew Special Quilts . If you did not purchase from us please call 210-698-6076 with payment.